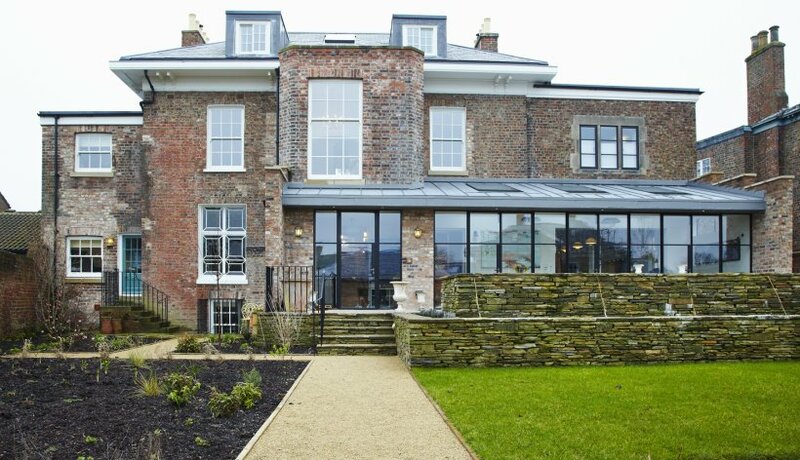 Our client wished to return a former hotel back into a family home. The historic plan form has been restored by removing inappropriate hotel interventions that disguised the original period features. Due to the unique nature of the house a high quality design was of great importance. 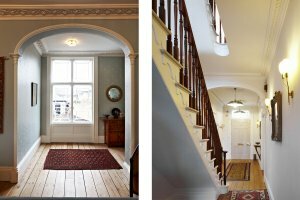 Each individual element of the building has either been repaired, restored or replaced or is a bespoke one-off piece made by local specialist craftsmen. 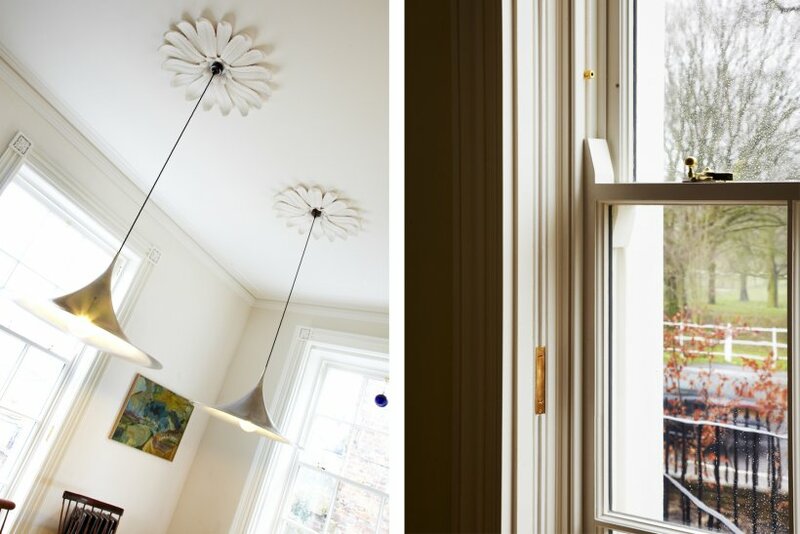 Internal decoration, lighting, fixtures and fittings have been sourced from specialists across the UK, Europe and America. Read more about the kitchen design on the Remodelista blog here, and at deVol here. 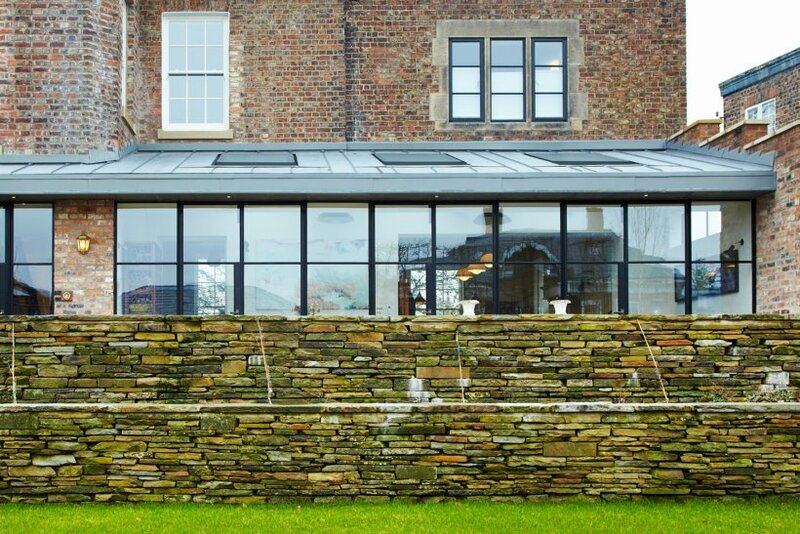 External walls were repaired and repointed using reclaimed brickwork and lime mortar colour matched to the original fabric. Rotten external joinery has been replaced and internal joinery has been repaired and replaced where inappropriate designs had been introduced during its life as a hotel. Original moulded plaster cornices have been repaired and restored with new hand made sections inserted to replace water damaged and badly overdecorated areas. The energy efficiency of the building has been significantly upgraded by insulating the external walls and roof spaces with natural, breathable woodfibre insulation, and by replacing all of the windows and doors with new SlimLite crown effect double glazed sash windows set in accoya timber weighted box frames. Modern heating and hot water installations have replaced the outdated and poorly performing hotel systems, and a new heat recovery ventilation system has been installed throughout. The extension to the rear sits on a terrace within the new garden design by Lizzie Tulip. It has double glazed Crittall windows and doors and a roof covered with natural quartz zinc. The project was awarded a York Design Award in 2018 within the Residential Projects – Individual Dwelling category.